This week the Weld Range in WA’s Midwest joined other iconic Australian sites on the prestigious National Heritage List. 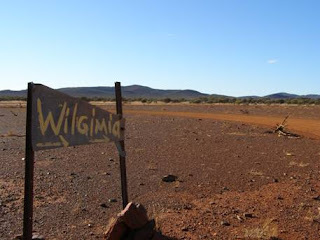 The Weld Range is approximately sixty kilometres north-west of Cue, and is of significant cultural importance to the traditional owners of the area, the Wajarri Yamatji people, as well as neighbouring Indigenous groups. The 45ha area of the National Heritage Listing includes Wilgie Mia, Little Wilgie Mia and the Marlu Resting Place. These sites contain sacred law grounds, dreamtime places, thousands of examples of rock art, extensive archaeological material, and the Wilgie Mia red ochre mine. The inclusion on the National Heritage List will help Wajarri Yamatji people to manage the area effectively, alongside the growing mining and tourism industries in Western Australia. YMAC has produced a publication called “Uranium and Native Title”, which will be sent to all YMAC members this month. The Yamatji Marlpa Aboriginal Corporation (YMAC) is aware that uranium mining is an issue that many of our members feel strongly about. 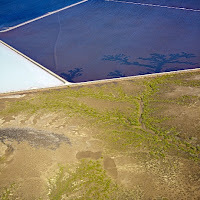 YMAC is not for or against uranium mining. Our role is to make sure Traditional Owners are professionally represented, that their native title rights are protected, and that they have the right information for decision making. Uranium is a controversial issue and we’ve had a lot of questions from our members about what uranium mining might mean for their country and community. There are no uranium mines planned for the Murchison and Gascoyne regions right now, but exploration is occurring. The “Uranium and Native Title” booklet and DVD gives some basic information about uranium, and lets you know where to go to learn more. The DVD includes information from YMAC’s visit to the Northern Territory to meet with Traditional Owners who have had uranium mining on their country. It also features footage from YMAC’s Uranium Workshops in 2009 with Traditional Owners in Geraldton, Karratha and Carnarvon, where a Federal Government scientist talked about uranium and types of mining. 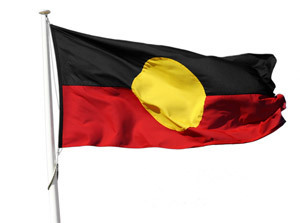 Click here to download “Uranium and Native Title” or visit YMAC’s website http://www.ymac.org.au/. You can contact YMAC at (08) 9268 7000 to request a copy complete with DVD. If you are already a YMAC member you will receive your copy in the mail. Not a member? Click here to download a membership form. All Yamatji and Marlpa adults are eligible for YMAC membership. 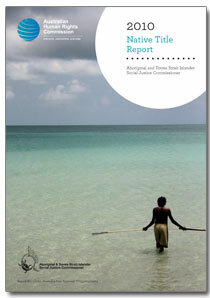 This week, the Australian Human Rights Commission (AHRC) launched the 2010 Native Title and Social Justice Report. YMAC provided a comprehensive submission to the AHRC which has been quoted and referred to in each chapter of the report. the need for Governments to implement the Guidelines for Best Practice in Agreement-Making, endorsed by Native Title Ministers in 2009. To celebrate the anniversary of the federal government’s apology to Aboriginal and Torres Strait Islander peoples, the Bundiyarra Aboriginal Community Aboriginal Corporation will be hosting a family fun day on the Geraldton foreshore on Sunday, 13 February 10:00-2:00. The alcohol free event will include free activities, entertainment, food, drinks and a live broadcast from Radio MAMA. A group of five artists spent a year touring the Pilbara with their cameras and the result is 52 Weeks On: A Pilbara Project Exhibition. The show features stunning images of how the people, mining industry and ancient country interact. Their photographs and videos will be on show at the Courthouse Gallery in Port Hedland and FORM Gallery in Perth, with opening events in Perth on 10 February and in Port Hedland on 11 February. The Pilbara Project is a long-term project which documents, maps, illustrates and celebrates the diverse characteristics of the Pilbara. 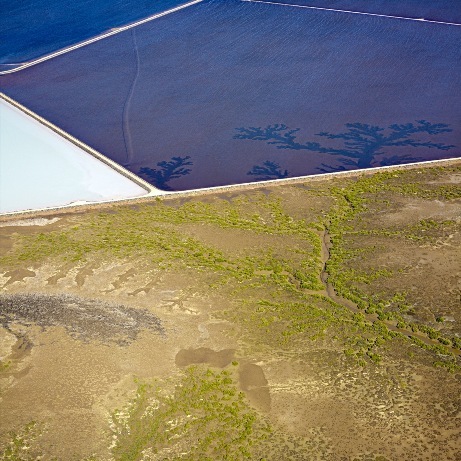 The exhibition seeks to engage people to think differently about the Pilbara. While the region has already given the Australian economy so much, it has even more to offer, to multiple people and on multiple fronts. Three Aboriginal Health Centres in the Pilbara have been successful in securing grants from the federal government, the Minister for Indigenous Health announced yesterday. The goal of the funding is to help Aboriginal Health Organisations achieve accreditation under Australian quality standards. For the Puntukurnu Aboriginal Medical Service Aboriginal Corporation in Jigalong and the Pilbara Indigenous Women’s Aboriginal Corporation and Bloodwood Tree, both located in South Hedland, this means funding for things like training, office equipment, medical equipment and the accreditation fees. YMAC congratulates these three Pilbara Aboriginal health organisations on their successful grant applications and on their ongoing work to improve the health and quality of life for the Pilbara Aboriginal community.